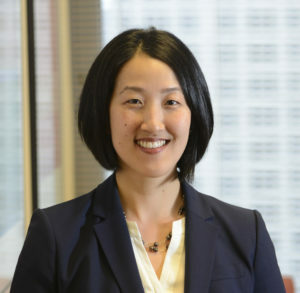 As head of the nonprofit BLC Institute, Audrey Lee is dedicated to providing education and training in all aspects of dispute resolution. She mediates cases for the U.S. Equal Employment Opportunity Commission and the Massachusetts Commission Against Discrimination. She also teaches mediation, negotiation, and conflict management workshops for a variety of corporate and public-sector clients. Lee has taught negotiation as an adjunct faculty member at a number of institutions across the country, including Northwestern University School of Law, University of Massachusetts Boston’s McCormack Graduate School’s Department of Conflict Resolution, and DePaul University College of Law. She is a founding co-chair and Advisory Board member of the Harvard Law School Women’s Alliance of Boston, and formerly served as president of the Chicago Chapter of the Association for Conflict Resolution. “ ‘What Would You Say?’ Giving Teeth to Diversity Programming.” Institute for Inclusion in the Legal Profession Review: The State of Diversity and Inclusion in the Legal Profession (spring 2013). “Effectively Negotiating Diversity Issues within Law Firms: The Value of Applying Negotiation Pedagogy and Principles to Diversity CLE and Training.” NALP Bulletin, June 2009. “Negotiating Part-Time Work at Elite Law Firms.” Pepperdine Dispute Resolution Law Journal 6, no. 3 (2006). “Unconscious Bias Theory in Employment Discrimination Litigation.” Harvard Civil Rights–Civil Liberties Law Review 40, no.2 (2005).